Our key aim is to market and promote Blackburn as East Lancashire’s centre for retail, leisure and business. By successful partnership working with The Mall, Blackburn Market, Blackburn with Darwen Borough Council and Blackburn Cathedral we attracted additional funding and through strategic collaboration have been able to deliver a calendar of distinctive marketing campaigns and events including Here Be Dragons, St George’s day with the Royal Society of St George. Blackburn’s BIG Christmas was a digital marketing campaign behind a calendar of quality Saturday events. Businesses benefitted from the additional footfall through starting events at an earlier time. The Blackburn BID contracts Square Cactus to manage the website and deliver all its photography, social media, digital marketing and public relations. The website publishes hundreds of positive news stories about Blackburn each year. We encourage levy payers to report good news, activities and events for free promotion. Events organised by the BID including Countryside Comes to Town and the Christmas Street Fairs created an increase of footfall through the town with a 30% rise of attendees to the annual civic carol concert. We sponsored the Blackburn Cathedral Flower Festival which was a finalist in the Lancashire Tourism Awards. 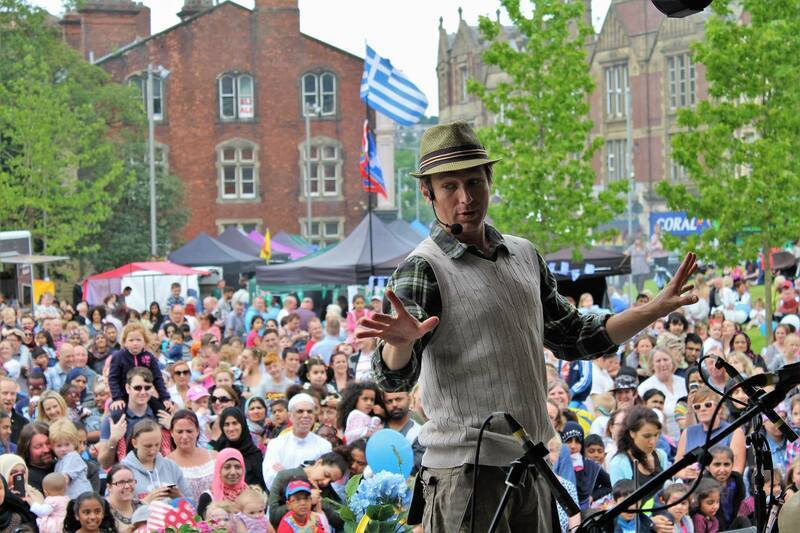 To utilise the Great British High Street prize fund to stage regular pop up street fair events as a sustainable legacy to animate the town centre and support footfall in struggling areas. digital strategies for marketing to meet the challenge of online shopping events. To build on the success of the BIG Christmas events particularly the Comic Con and Street Fair events.